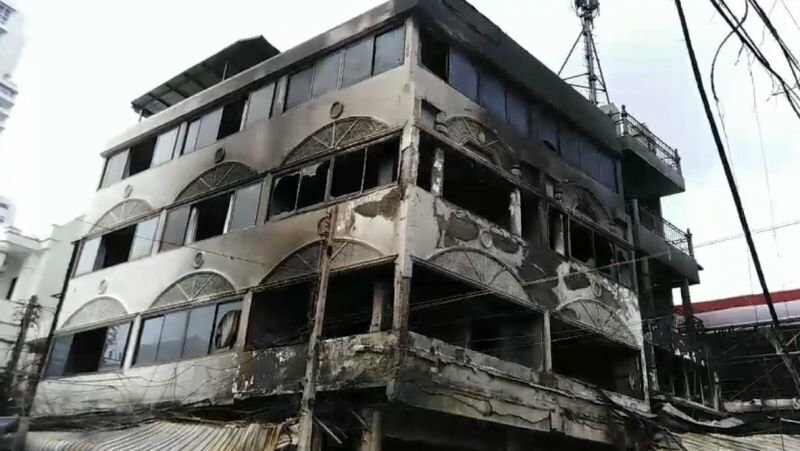 The fire broke out just after 8pm after an electrical transformer blew out, showering a souvenir shop with sparks and setting the building on fire, reported Patong Police Chief Col Anotai Jindamanee. If by the beach possibly a build up of salt causing arcing, any electricians care to comment. I was standing near one at Karon beach markets when it blew a cable off scary stuff. I have worked on overhead lines and transformers in my previous life and have never seen so many explosions as I have seen here in my last 12 years. And there are a combination of factors that are possible...........dirty insulators and possible cracking of them; pole fuses which are loose and which overheat, along with pole fuses being overloaded and then of course there is the actual transformer itself which can suffer, although it would take one hell of a lot to blow one of those apart. All of the above can be coated in dirt and as Oziex1 has stated, possibly salt, and because the voltage is very high, it starts to "creep" along anywhere which has a coating of dirt or similar and can cause arcing between different phases or even arcing between insulators and the brackets and so on. What is not in question is the fact that I have never seen any of these "installations" being cleaned since I've been here, and this was part of a planned maintenance schedule when I worked overseas, especially as it was in the desert and the dust created havoc, and having said that, here we have had dirty air and much dust from building and construction, so only to be expected. Of course some planned maintenance might help...............perish the thought!. 60m bt damage for that dump? No chance. more like 20m bt to tear down and rebuild something decent. The fire gutted 9 4-story units. How many 4-story units do you see in the photo you're commenting on? Its an old roach infested dump. Around 20million max to replace with new. I notice you're not answering the question, and think you can estimate the damage based on a photo of only a part of the damaged buildings. It appears to one building comprising multiple units. If there are other buildings then the costs will indeed rise. The story from the link says 9 buildings were destroyed, but I think its actually 9 units in a single building. There are 3 separate buildings along this side of the pedestrian soi, and it looks like only the building fronting the beach road caught fire. Exactly. A Jewish stock take. Which is what the op stated, multiple buildings. Now whether that is correct? The picture only shows one building, with what are likely nine units in that one building. If it was only the one building, then they should be able to put up a replacement thai-style building for around 20million baht. It's always interesting to learn more about the common things around us that we take for granted, and I can certainly understand the idea of dirty and possibly salt coating these components to create arcing and therefore fire hazards. But I had to wonder about the role of rainwater. Thailand gets prolonged periods of heavy hard-driving rain, and I would have thought that it would be effective in naturally keeping these types of things fairly clean. The other question about rain is that we know water is a pretty good conductor of electricity, so why doesn't the same type of arcing happen when these components are soaking wet from the rain? I'm not questioning or challenging the explanation kindly offered -- just curious about those rain questions.